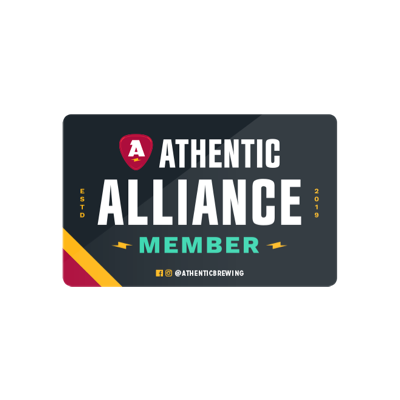 A membership card to Athentic Brewing Company allows you to skip the line when you come into the brewery and start your beer experience faster and more efficiently. Your card is registered to your account (through an app) and money can be preloaded for the wall and merchandise. Between now and when we open on August 24th, we are offering a special membership package for $25. – The ability to be personally greeted by the beer wall with the name, or alter ego, of your choice.